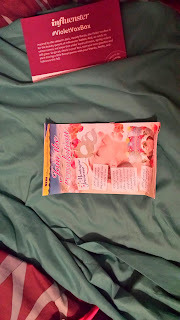 This may not be a REAL post because it's going to be sharing goodies from my new gift box which normally has nothing to do with hair but in this box actually does and in one of the best ways too. While not the box I was anticipating initially, too much demand not enough boxes it happens, this is a pretty cool VoxBox as well. This photo is of the entire unboxed package of goodies. I always seem to end up with random nail polish colors but hey the polish is nice lol. This is a new clay infused fabric masque from Montagne Jeunnesse. I really love them. 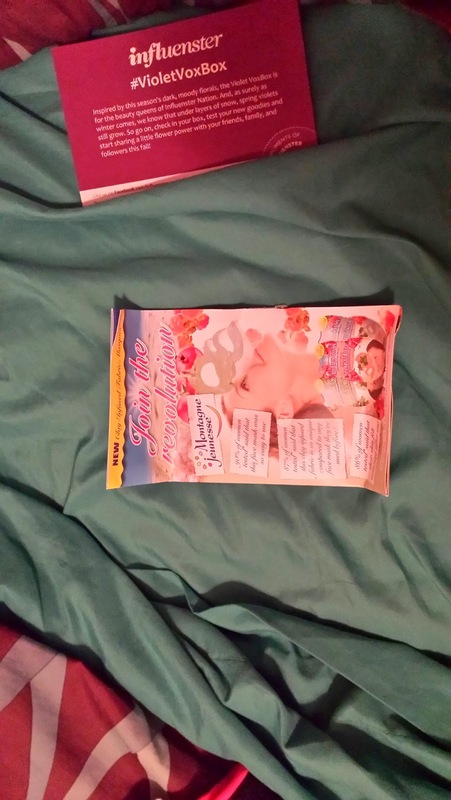 The masques are usually nice and purifying without being super perfume laced and creepy. This sample is called Crushed Artic Cloudberries. It will be my present to myself after I'm done with the grading. This is the only miss in the box for me. 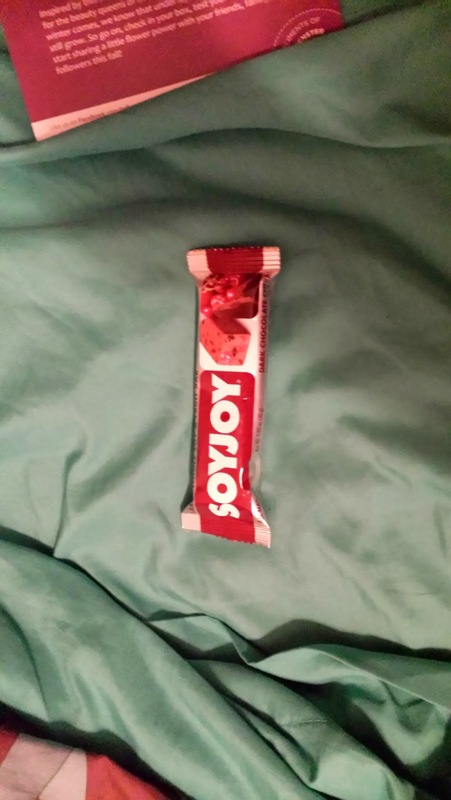 I love a good healthy treat and have been turned on to some good snacks through Influenster but the Soyjoy did not make me remotely happy. I don't really like fruit in my chocolate. It should offend the chocolate Gods on some level to be so muddled up. The bar itself was fine, the fruit not so much. This polish is very vibrant green. 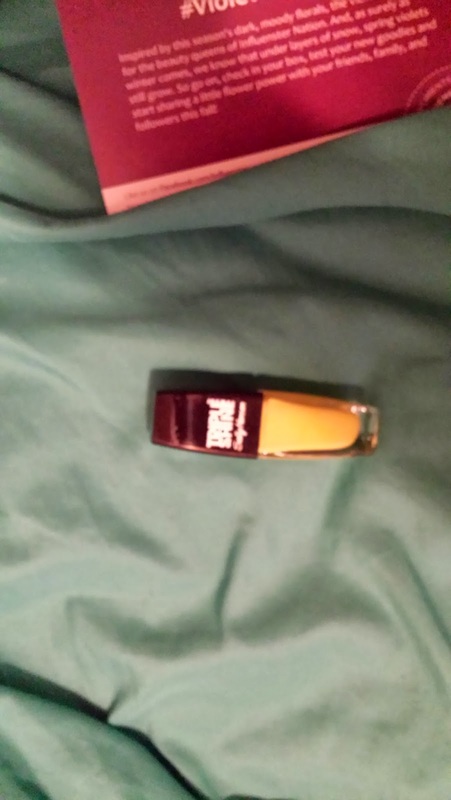 Sally Hensen makes fantastic polish and it coats well even if it's not my best shade lol. It's okay I'll play with it when I see my nieces who will think it's Ninja Turtle green and be fascinated. The two best items for me in this box are the Dry Shampoo from Not Your Mother's Clean Freak brand. 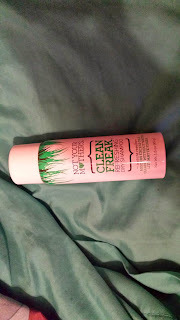 I haven't needed to use it YET because I'm so freshly out of the beauty show but seriously this may refresh the funk that the sweat can create when I'm working out. I'll update you on that progress. 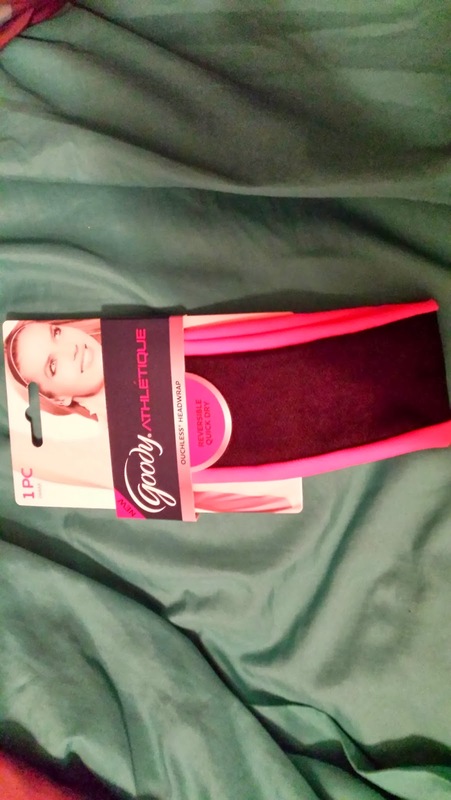 But absolutely the best part of the box has been the Goody Quik Style Dry Fit head band. One of the things I hate about working out is how much the sweat pours from my head down into my eyes and just makes me a great big old mess. I've used this band three times now and so far my face sweats yes but there's no downpour from my scalp. It also keeps the sweat off my neck as much too. And while I was original a little shocked at the bright pink trim I noticed it matched my sneakers and made me feel more coordinated. I know there's that Keep Your Do head scarf but that feels like I should be tying my hair down for bed even if it works great it's not the aesthetic I'm going for when I get sweaty. Plus I'm pretty sure when I look like it's time for bed I am more likely to go to bed. Anyway if you wanted my best endorsement for anything in this box it would definitely be this head band. There you go. Updates from the newest cute little purple box of goodies. 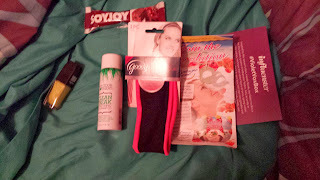 All of the products reviewed were provided by Influenster for the purpose of giving honest feedback.